1 cup basmati rice, steamed to packet instructions. 1. Place the mince in a large bowl. Add the breadcrumbs, onion, cinnamon and salt and pepper to your liking and mix well. Form mixture into meatballs the size of small walnuts. 2. Heat oil in a flameproof casserole and sautee meatballs in batches for 5 minutes, rolling the pan, until the meat is brown. Add stock, and simmer on a low heat for about 10 minutes. 3. Mix the orange juice, lemon juice and flour together. Stir into the meatballs and season to taste with salt and pepper. Simmer on a low heat and cook for a further 20 minutes. 4. Stir through the baby spinach and parsley, cook for another 2-3 minutes until wilted and serve with steamed rice. 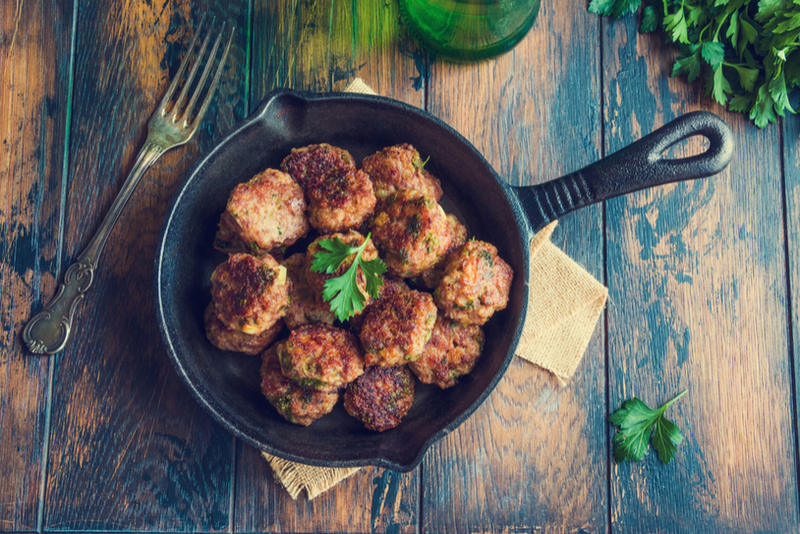 The flavour of premium mince may be good, but because there isn’t much fat it needs less cooking to prevent it becoming dry. 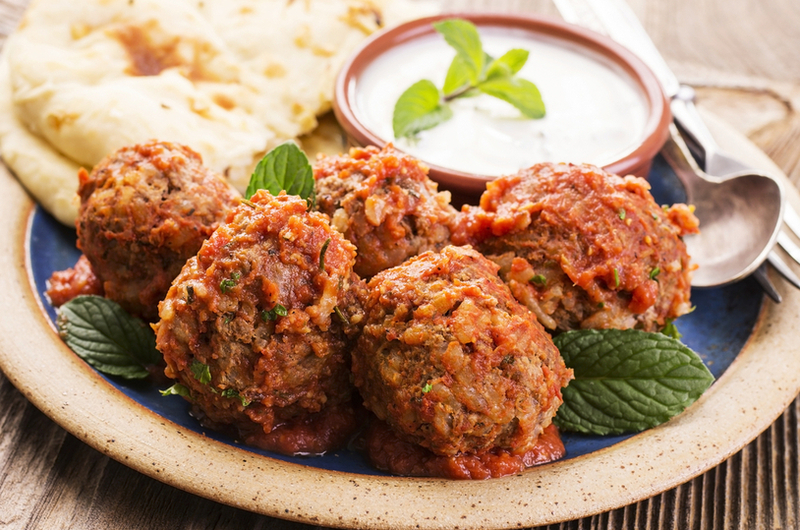 As a general guide, choose coarsely ground mince for burgers or rissoles and finer mince for dishes cooked in liquid. 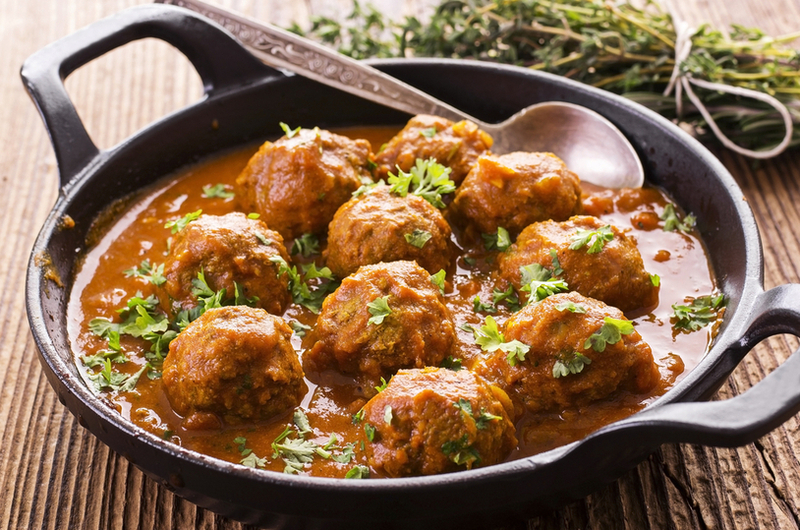 Persian meatballs in a rich spinach and orange sauce.